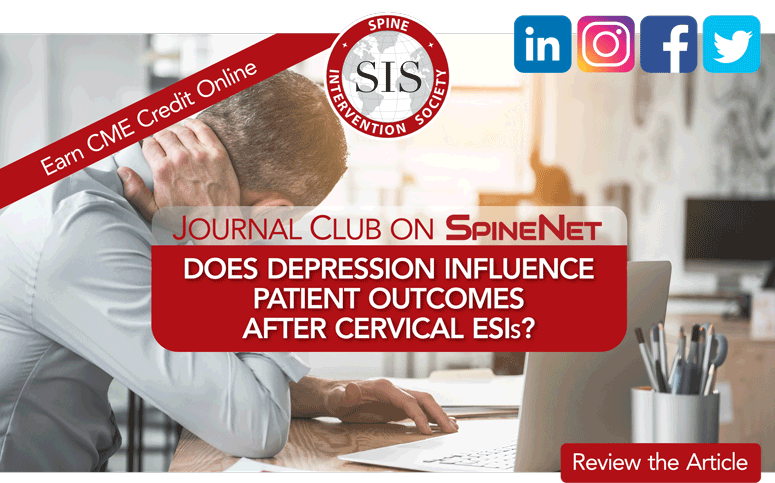 Earn CME credit on the SIS eLearning platform SpineNet for reviewing a journal article and evidentiary table that analyzes the methodology and findings of the paper, Effect of Depression on Patient-Reported Outcomes Following Cervical Epidural Steroid Injection for Degenerative Spine Disease by Kim et al. This paper was critically reviewed by SIS Research Division members Drs. Nathaniel M. Schuster and David Levi. Earn CME credit for your review of the analysis here.